The color green isn't for everyone, but emeralds are in a class of their own. The stone's hue is unmatched, making it one of the most sought-after gemstones on the market. Emerald has consistently surpassed other green gems like peridot and tourmaline with its lush blueish-green tones. But what's an emerald without some fanciful history and lore? These quick and to-the-point emerald facts will help enliven your passion for this rare specimen, regardless of what you think about its coloring. Emerald is one of the four recognized precious gemstones. The others are ruby, sapphire, and diamond. Emerald is the birthstone of May and is the traditional gift for the 20th, 35th and 55th wedding anniversary in the US. 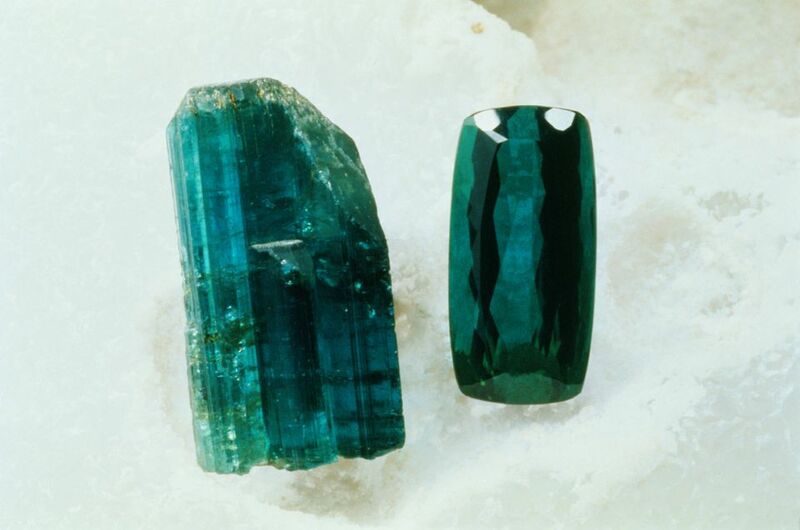 Emerald is made from beryl just like the gemstone aquamarine. A 1-carat emerald appears larger than a 1-carat diamond because of their lower density. Emerald measures between 7.5 - 8 on the Mohs Scale of Hardness. Though they are durable stones, emeralds are susceptible to chipping and cracking. This makes emerald's more expensive to set into jewelry due to the risk involved. Colombia yields the largest amount of emeralds, contributing to more than 50% of all emerald production worldwide. The oldest emeralds are about 2.97 billion years old. The first known emeralds were mined in Egypt around 1500 BC. One of Cleopatra's favorite stones was emerald, and her passion for the stone was well documented. Emeralds were discovered in South America in the 16th century by the Spanish. They were used by the Incas well before this discovery. The Spanish traded emeralds across Europe and Asia for precious metals, which opened up the emerald trade to the rest of the world. Emeralds were first discovered in North America in the Yukon Territory in 1997, though large emerald deposits in the United States and further north are very rare. Synthetic sapphire and ruby were created in 1907, but synthetic emeralds were not created until 1935 when American chemist Carroll Chatham successfully grew his first 1-carat Chatham emerald. This stone is now on display at the Smithsonian Institute. According to ancient folklore, putting an emerald under your tongue would help one see into the future. Emeralds were thought to guard against memory loss and enhance intuition. Want to be sure what your lover is saying is real? Emerald was believed to act as a type of truth potion, helping decipher whether the lover's vows were true or false. The soft, calming color of the emerald helped early lapidaries rest their eyes after an extended period of concentration. Today, emerald is still thought to relax and relieve eye strain. Top quality emeralds can be worth more than diamonds on a per-carat basis. Most emeralds have some type of inclusion or imperfection, and emeralds without imperfections or inclusions are very rare. Instead of the term imperfection, dealers like to reference emerald inclusions as an internal "jardin" (garden in French). Color, clarity, cut, and carat weight are four factors used to determine the value of an emerald. The most important of these four is color. The best color is vivid green or blueish green with even saturation and no color zoning. Valuable, high-quality emeralds are very transparent and aren't too dark or too light. Green beryl that is too light in color may not even be considered emerald by some gemologists. A gemologist judges a diamond's clarity grade by using a 10x loupe. The clarity of an emerald is often assessed with the naked eye. An emerald pendant necklace owned by Elizabeth Taylor sold for $6.5 million in 2011, breaking down to about $280,000 paid per carat. The Duke of Devonshire Emerald is one of the largest uncut emeralds weighing 1,383.93 carats. Due to the inclusions within an emerald, it is not wise to clean these gems in an ultrasonic cleaner. Instead, clean gently by hand using warm water. Most emeralds are usually treated by filling the emerald with oil to fill in the cracks and help prevent unintentional chipping or cracking. You can coat emeralds with baby oil as an extra care precaution to help the stone from becoming overly brittle.